The customary belt-tightening that seems to discourage fermented festivities in January has finally run its course, and as February arrives, it’s time to remember what excellent beer-drinking opportunities London presents to us. Here are a handful of the month’s best options. It’s almost exactly one year since Canonbury’s excellent Snooty Fox hosted their last beer festival, so the return of their North London Brew Fest (where it seems that ‘North London’ refers more to the location of the pub than the provenance of the beers) is more than welcome. Alongside a selection of 25 cask and keg beers will be talks and tutorials from beery luminaries Des de Moor and Roger Protz, as well as the opportunity to meet brewers from a couple of local London breweries. As usual, a musical accompaniment will be provided by DJs playing retro soul, funk and rock’n’roll on Friday and Saturday evenings, and the pub’s vinyl jukebox will doubtless be on standby at other times. Almost a year and a half since 2016’s inaugural South Norwood Beer Festival, CAMRA’s Sutton & Croydon branch will be staging a second instalment at the grand Stanley Halls (five minutes’ walk from Norwood Junction station). Expect standard fare for a CAMRA festival: 25(ish) real ales, plus ciders and perries, available in pints, halves and thirds, and sold at reasonable prices. The festivities are spread across four sessions, with varying and modest admission charges (and discounts for card-carrying CAMRA members) — see the website for full details. 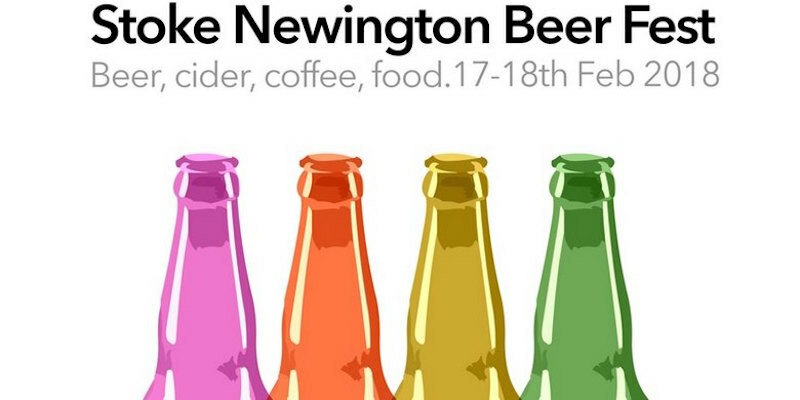 The publicity for Stoke Newington Beer Fest makes conspicuous reference to the 14 “producers” who will be serving drinks at this two-day event at Stokey’s Abney Hall. On inspection, these producers seem to comprise: 11 brewers, one cider-maker, one soft-drink manufacturer, and one cold-brew coffee specialist. It’s mostly a well-curated selection of small, interesting independents, and likely to present something new for even the most dedicated Untappd ticker. A ticket for one of the four half-day sessions will set you back a teeth-clenching £32, but will include a third of a pint from each of the 14 producers, a branded festival glass, and a can of the festival’s own Extra Stokey Bitter. You can do the maths yourself. Another February means another instalment of the rather dubiously self-proclaimed “biggest craft beer festival in the UK”. It’s also apparently “bigger and better than ever before”. Again. Bombast aside, there’s no disputing that Craft Beer Rising is a very big beer festival. 175 breweries, a generous handful of cider-makers, and more than a dozen food stalls will all be showcasing their wares in the Old Truman Brewery, musically accompanied by a number of fairly well-recognised DJs. Tickets for the Friday evening, Saturday afternoon, or Saturday evening sessions cost £20 in advance (cheaper ‘early-bird’ tickets have now sold out), or tickets for the Thursday evening are currently available for £15.